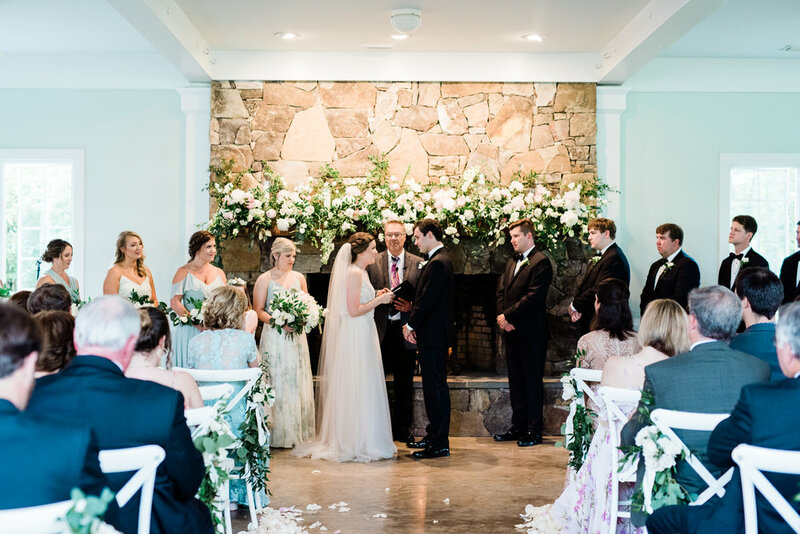 Melissa and Taylor’s relationship blossomed in the heart of UNC, so it only made sense that they would be married in one of the most beautiful places in the Chapel Hill area, Fearrington Village. The venue was extra special because a year prior to their wedding day, Taylor asked Melissa to be his wife there. As self-proclaimed “foodies”, they wanted a menu that was to die for – enter the Fearrington first class dining experience. Given the couple’s love of food, coupled with the desire for an ambience that encapsulated their own warmth (they are the most adorable and kind couple), a Fearrington Village wedding was an easy choice. When we first met with Melissa, we knew it was going to be a family affair. She and her mother and sister have a wonderful bond that was evident throughout the planning process. Melissa knew what she wanted, her mom and sister supported her ideas and dreams with their whole hearts and so did Taylor (smart man!). Both Melissa and Taylor lost their dads within the last few years, so we wanted to make sure to honor them at every turn of the day. 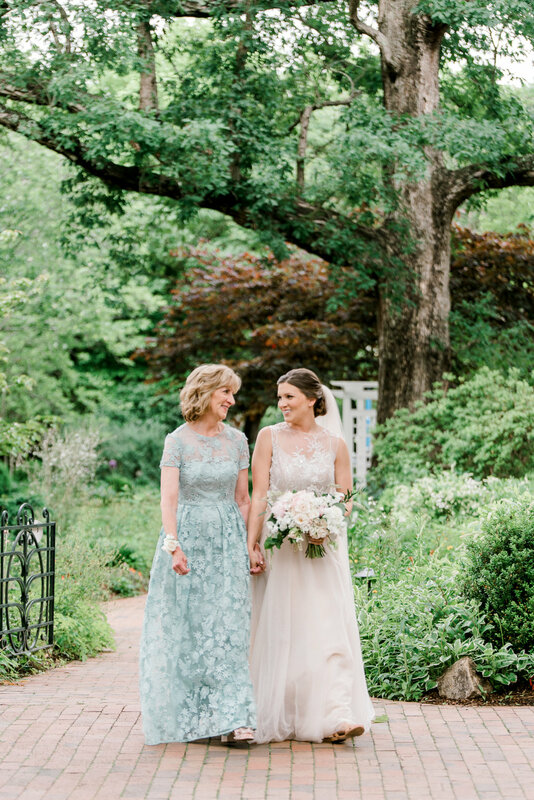 Melissa’s mom walked her down the aisle to marry her love and it was the most lovely and meaningful moment of the day. I know there was not a dry eye in the garden. 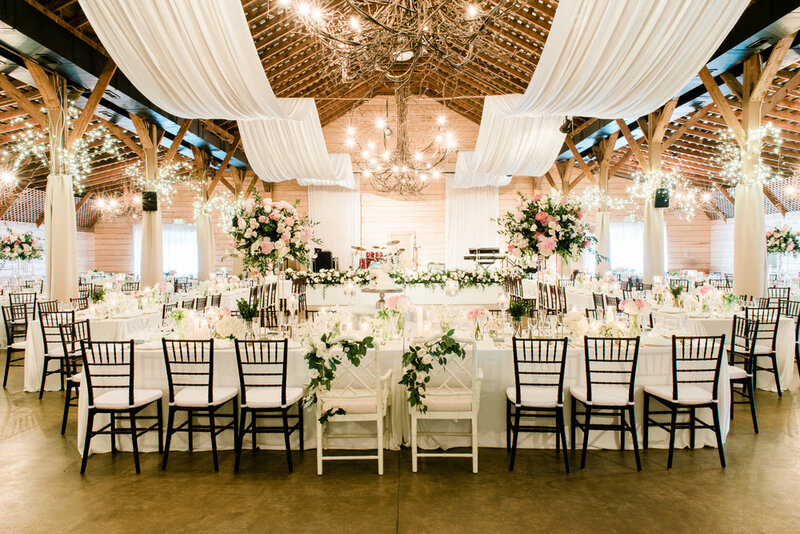 One of the most important things to Melissa was that the barn felt sophisticated and chic. Since they chose the peak of flower season in mid-May, this part was easy. 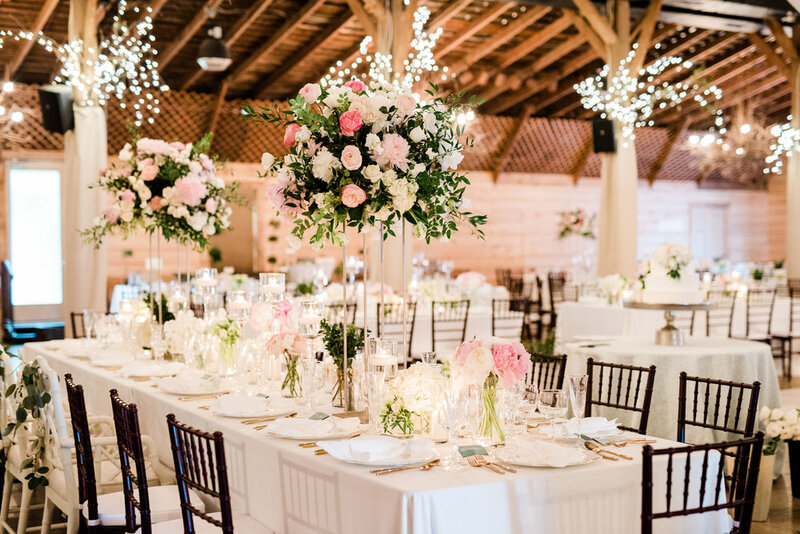 Selecting lush peonies in shades ranging from soft white to spring time pink, one of my personal favorites, delicate sweet peas, and Melissa’s must-have tulips (flown in fresh from Holland), we created lovely southern garden feel – brining the outside in to the barn. Adding abundant candlelight, hints of gold and sea spray green throughout the space brought it all together. 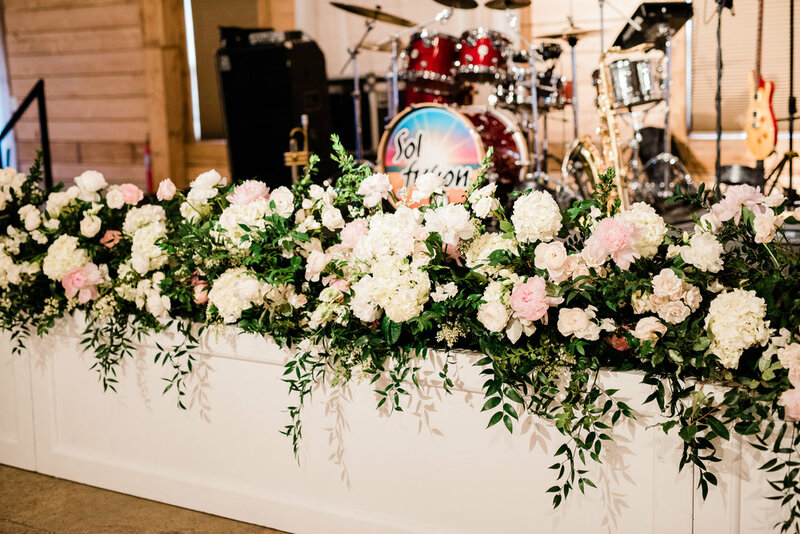 Since creating a warm, inviting and maybe a small element of the unexpected in the space was a top priority for Melissa and Taylor, we wanted to couple the floral aspect with a range of textures and fabrics that elevated the space, enter warm white VELVET linens! This was probably our favorite element of the design. They were so subtle but made such a huge impact on the barn. 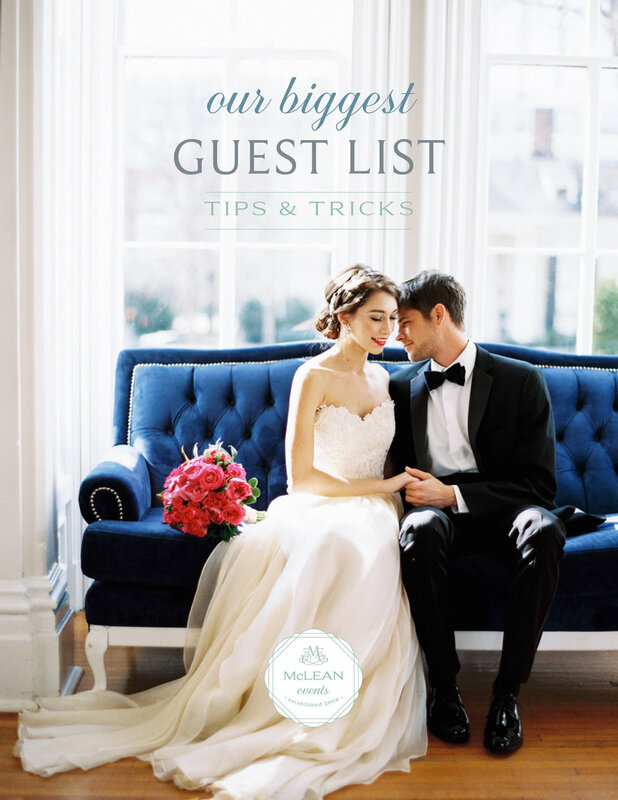 Most guests didn’t even realize they were velvet until sitting down at their place setting. We also opted to soften the ceiling with romantic draping, cascading down behind the band and rounding out a magical final scene. Watching Melissa and Taylor dance the night away surrounded by all the people that clearly loved them so much – was an honor. They chose Sol Fusion Band to bring the party and they certainly did. Guests were treated to homemade marshmallows favors on their way out (a favorite of Melissa’s) and sent the newly weds off in style with a rose petal exit. A special thanks to the team of awesome vendors that made this night a success! The team at McLean Events would love to collaborate with you to plan your flawless Fearrington Village wedding. Inquire with us today.